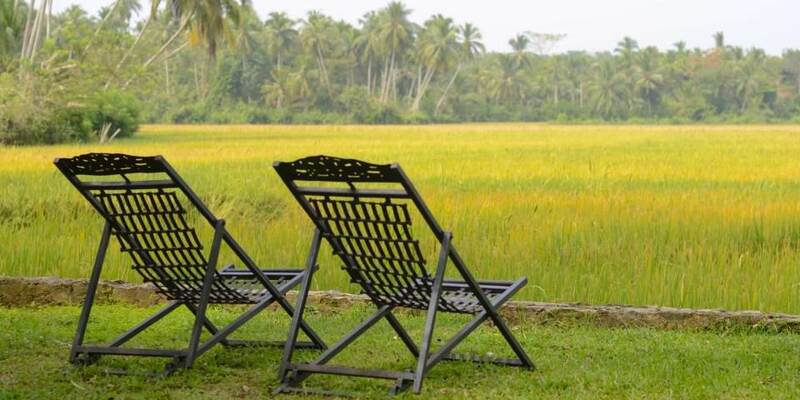 Located on Sri Lanka’s south coast only 8 kilometres inland from the bustling town of Tangalle; Maya can be found in the rural village of Aranwella, nestled in tropical gardens which teem with wildlife and are surrounded by paddy fields. 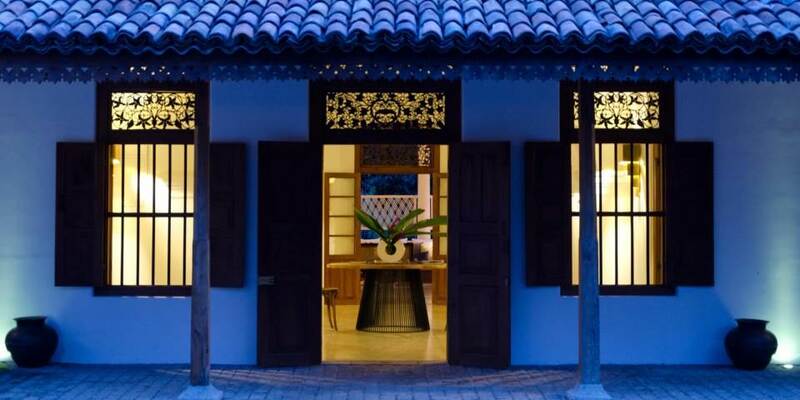 Originally built in the 19th century as a Manor House or Walauwa, by one of the ruling elite it is an eclectic mix of Dutch, British and Sri Lankan architecture, this atmospheric villa has now been lovingly restored while remaining true to its original features. Today this spacious colonial chic manor house is a true sanctuary. 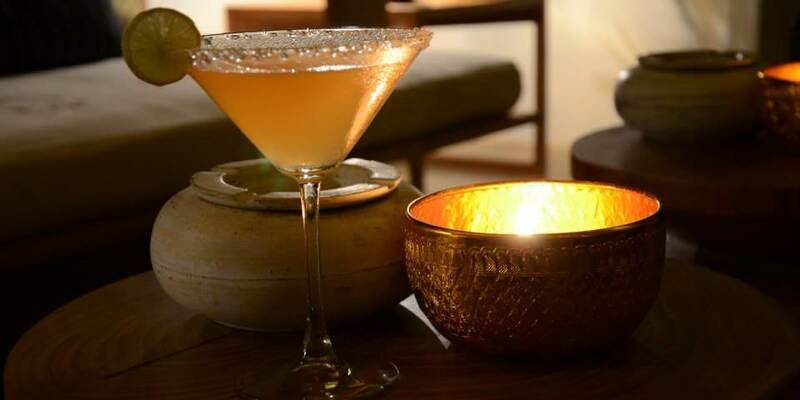 The chef, Darshan, who is reputedly one of the best in the area, will delight in conjuring up a feast for the senses. Using only the freshest local ingredients he will create a menu which changes daily and is adapted to guest’s wishes, which has classic dishes but which are served with a creative twist. There are so many places to dine, whether it is by the pool in a secluded spot in the garden or in the atmospheric dining room in the Old House. 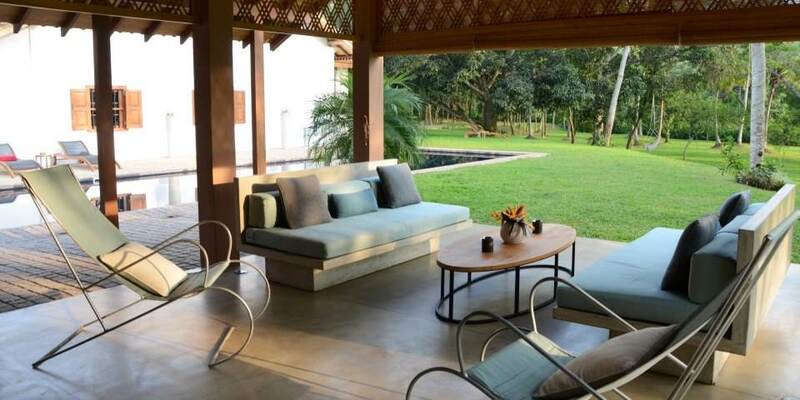 Maya is a haven in which to relax and listen to the enchanting sound of birdsong from the exceptionally diverse birdlife which thrives in the beautiful 2 acre gardens. Maybe chill in a hammock and read a book from the library, take a lazy dip in the beautiful pool, or challenge the staff to a game of cricket in the garden, perhaps even take part in a cooking class with the chef. For those who wish to explore further, there is plenty to see not too far away. The beautiful beaches of Tangalle are only 15 minutes away while Uda Walawe wild elephant park and Kalametiya bird sanctuary are only a short drive. Maya will be delighted to arrange a Wild Elephant Picnic Lunch or take guests on a night safari to Raweka beach on which endangered marine turtles nest. Cricket is the favourite sport of Sri Lanka and Maya is lucky enough to be close to two grounds, one the oldest is in Galle, so a chance to see a match can be combined with a visit to the historic Fort, while closer by the newest ground is at Hambantota. Maya is a place to wake up to the sound of birdsong, to wonder at the natural beauty , be seduced by the striking architecture and luxurious setting or just soak up the energy of a truly magical place. 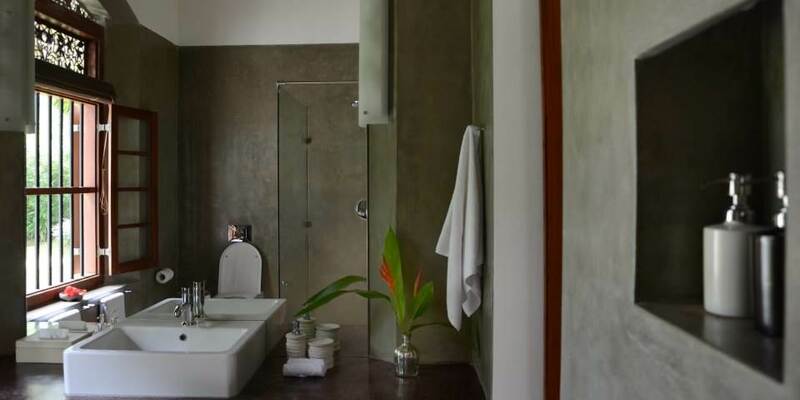 There are just 5 luxury suites at Maya; each is beautifully furnished and has both air conditioning and ceiling fan. 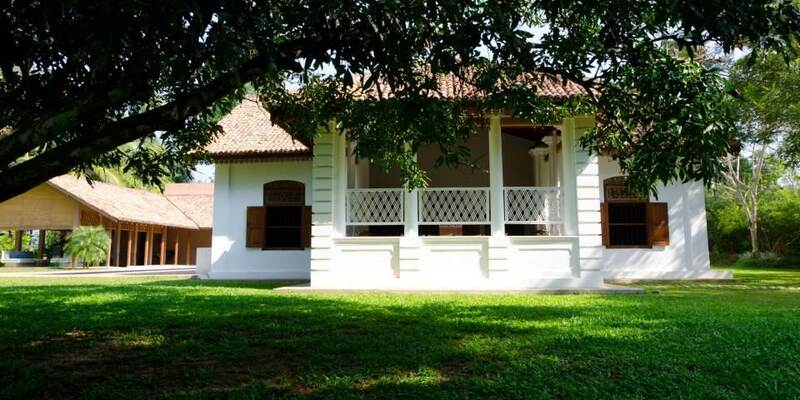 In the Old House Thekka and Khumbuk are traditional in style with high arched ceilings, four poster beds draped with sheer mosquito nets, lattice work, antique furniture and doors that open out to the pool , together they are ideal for a family or friends travelling together. The three remaining rooms, Amba, Ehela and Kohomba are in the new wing and are quintessentially modern in design. They have elegant sleek furnishings and large luxury bathrooms. Each has sliding doors which open into the suites’ large private courtyards; offering perfect tranquil spaces in which to relax.